It wasn’t until I transcribed Dr. Howard Levin’s presentation from our last 10x for ENGINEERS event did I realize how much his past 15 years he packed into 25 minutes. It was fantastic presentation for anyone who ever works in bringing a medical device concept to market. The video, slides, and transcript are immediately available for you now at https://medgroup.biz/Howard-Levin. • A university gets a patent on a concept constructed with “academic engineering” (different than “real engineering”). When they find the idea, as written, is unworkable, they’ve effectively shut everyone else out from expediting the innovation to market. • A device may be good for mankind but not for business. You, as a medical device design engineer, get pitched more ideas than you can execute. How do you choose? • If you consider taking equity as a form of payment, how do you minimize the risk there’s no payout at all? IP for acquisition versus help manufacturing the device you’ll make money on selling. Then Howard took us through a dozen questions to ask, ranging from clinical need to regulatory risk to sales and marketing. See something you like? Click away! Hiring managers and recruiters, let’s get these nice people some jobs! Please list your opportunities at https://medgroup.biz/jobs anytime this month for just $29 using code 29dollars. 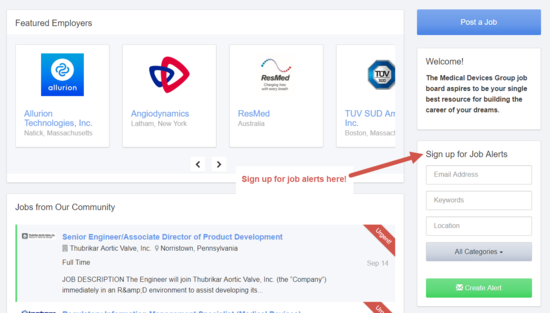 • Sign up for job alerts (available at this time only in the US, Canada, UK, and Australia). Good luck, and if there’s additional functionality – like this resume review tool – you’d like to see on the job board, just reply to this email with your suggestions! How familiar are you with risk analysis according to ISO 14971? 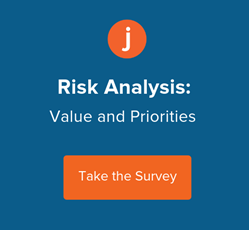 If you have a few moments, would you take this short Jama Software survey? They basically wanna know how medical device manufacturers perform risk analysis. It’s, like, six questions, the first of which is your level of familiarity: None | Somewhat | Mostly | Expert. So if you have the time, I’d appreciate it. Yay! 🥂 I’ve wanted to restore this feature for three years now! In this section, I highlight some of the recent contributions from group members because, hey, this is a community we have here! Please, add your questions right here. The event is geared equally for senior and junior levels. If you’re senior, you’ll return with ideas the team can use. If junior, you’ll return with specifics lessons, materials, and action items to do your job better. Want to see what 10x for ENGINEERS is like? Watch this short recap video.